Look at my Loot! My most lovely and far away in Japan friend Deb, sent the Swanling and myself each a package of happiness. My most favourite is the black Gloomy head keychain, bottom right, which I am going to make into a necklace. 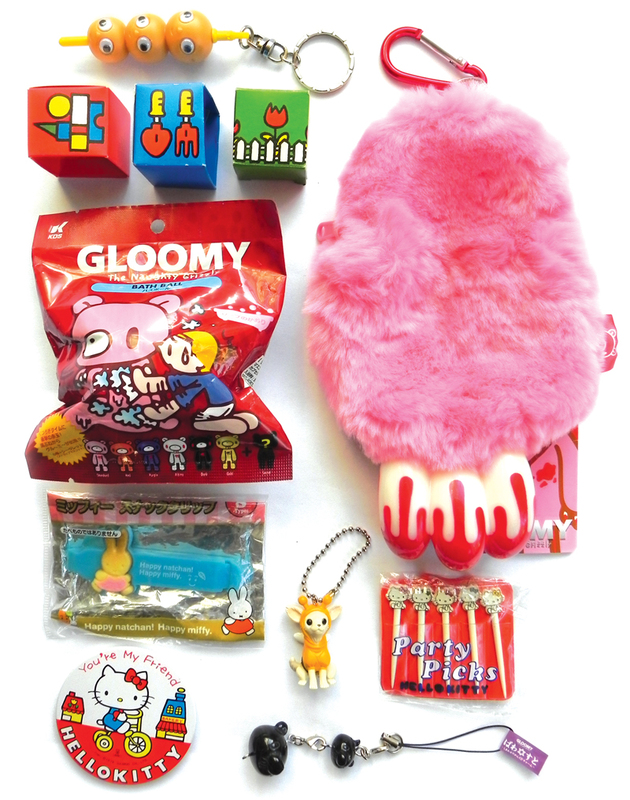 The little Miffy like boxes housed tiny Hello Kitty treasures for Swan's dollhouse. Swan is desperate to get at the Gloomy housed inside the bath ball. The Gloomy paw purse is already hanging off my bag. Thank you Debchan so much for the spoiling, miss you like crazy!